Alanis is probably better known for her angry rock music, but over time her style has evolved a lot. She now has gone from angry rock, to spiritual guru, to songs that would be rated more as pop than anything else. She still occasionally has the angry song, but it is clear that Alanis is a much happier person today. Her tracks "Everything" and "Knees of My Bees" hint that the heart broken Alanis has once again fallen in love. Alanis continues, however, to be dissatisfied with the ways of society as seen in "Eight Easy Steps". 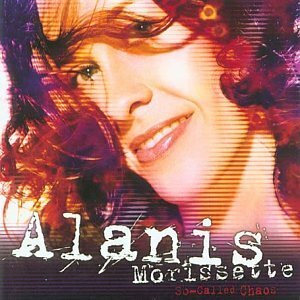 With such powerful lyrics as "How to keep people at arm's length and never get too close, how to mistrust the ones you supposedly love the most", shows that Alanis is still disillusioned with the world and relationships today. This Album is certainly Alanis most pop like record to date, and might leave some fans wondering what to expect next.